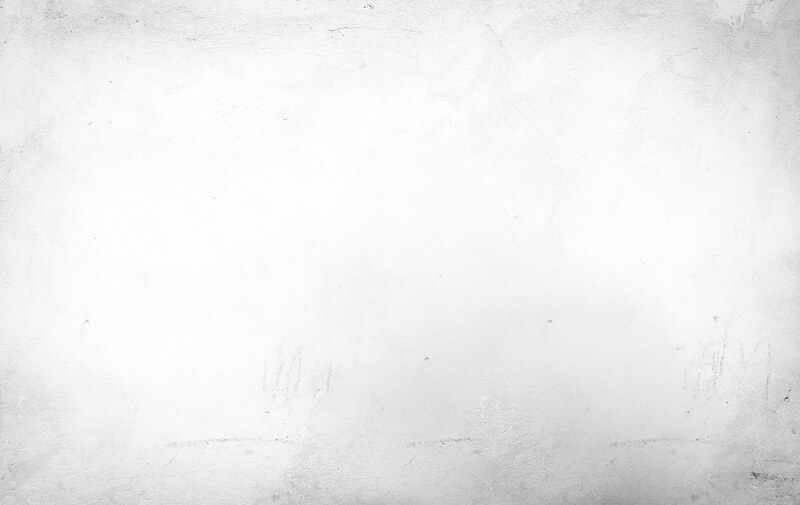 Personal expenses such as drinks, laundry, phone calls, internet access, etc. 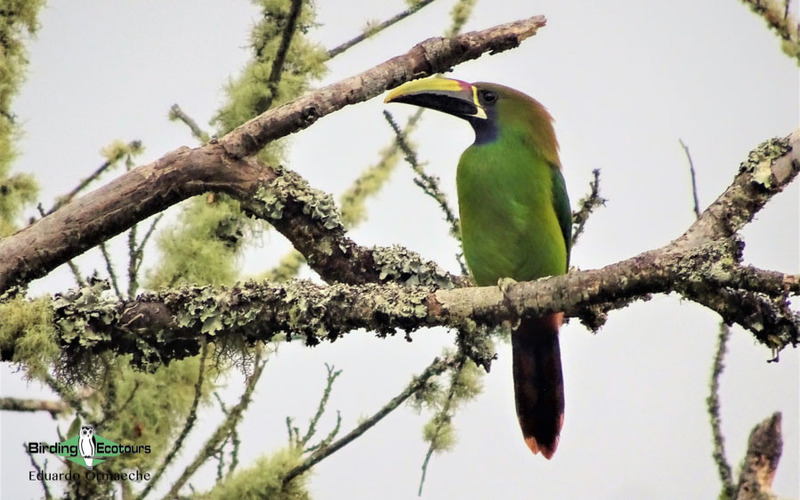 Panama offers one of the greatest birding experiences in the Neotropics, conjuring up visions of the Panama Canal, Harpy Eagles, army ants, and ground cuckoos. However, less frequently visited by birders is Western Panama, which offers a unique experience to visitors, providing two amazing natural habitats with their respective avifauna: the Caribbean and the cloudforest mountains. 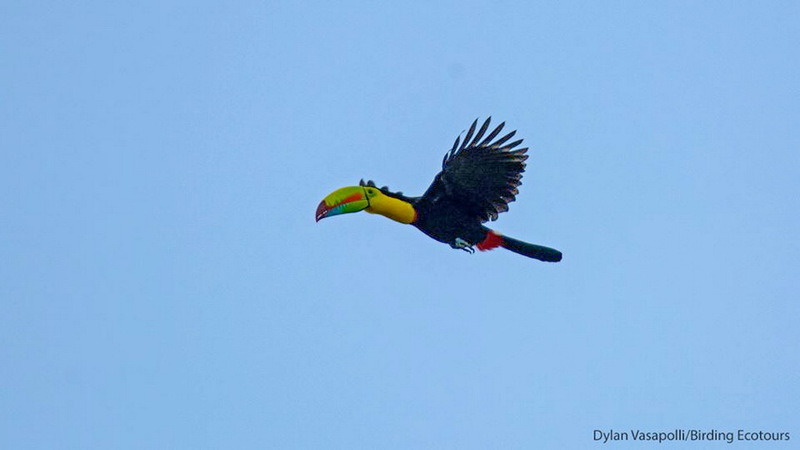 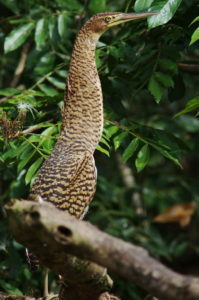 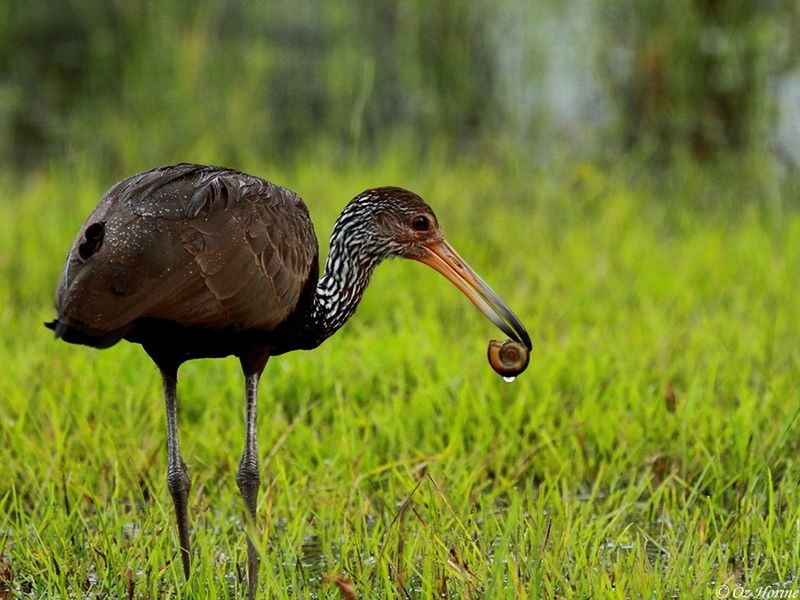 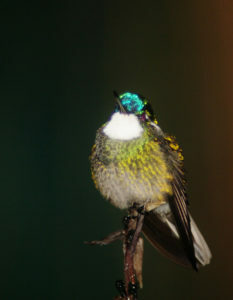 Our new nine-day tour will start in Panama City, offering you a nice introduction to the Panamanian birds near the city. 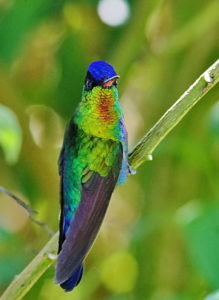 The Metropolitan Natural Park, considered probably the nicest park in Latin America, would be our first port of call. 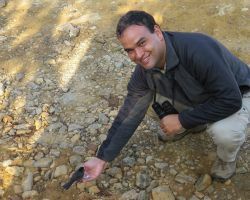 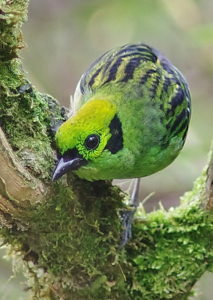 We will look for a very interesting set of birds, including the endemic Panamanian Tyrannulet. 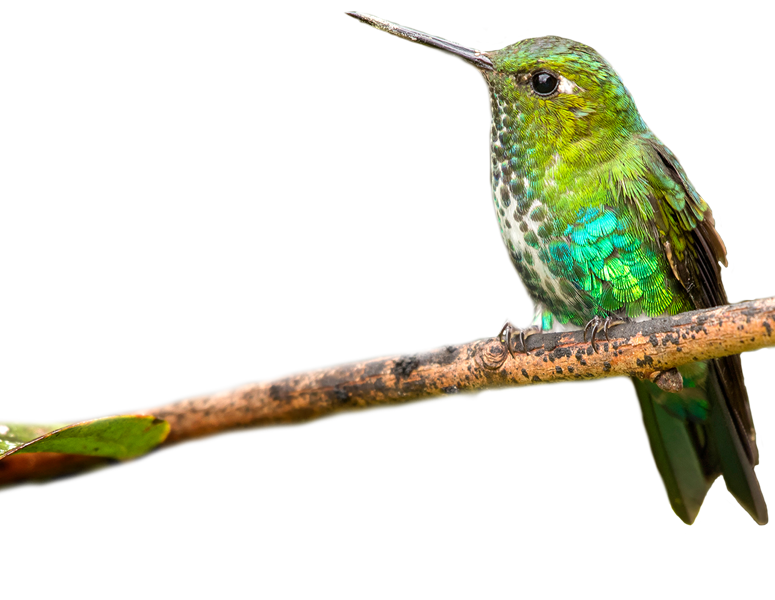 After a short flight we will reach Colón Island in the Province of Bocas del Toro on the western Caribbean slope to stay at the beautiful Tranquilo Bay Eco Adventure Lodge. Tranquilo Bay Eco Adventure Lodge is strategically located adjacent to Isla Bastimentos National Marine Park on Bastimentos Island The well-appointed lodge and its amenities are located on 200 forested acres, covering three distinct ecosystems. 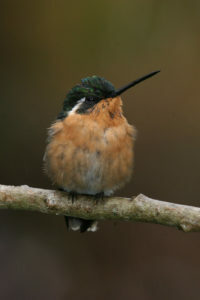 The islands of the Bocas del Toro Archipelago are often called the “Galapagos of the Caribbean” due to endemism and species differentiation. 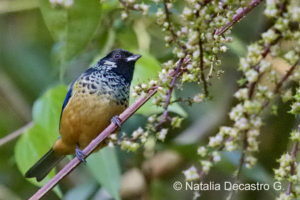 During our stay we will look for Stub-tailed Spadebill, White-collared and Red-capped Manakins, Band-tailed Barbthroat, Bronzy Hermit, Snowy Cotinga, Three-wattled Bellbird (seasonal), Montezuma Oropendola, Nicaraguan Seed Finch, Passerini’s Tanager, Golden-hooded Tanager, White-throated Crake, Keel-billed and Yellow-throated Toucans, Common Black Hawk, Lesser Scaup, Black-bellied Whistling Duck, and Masked Duck. 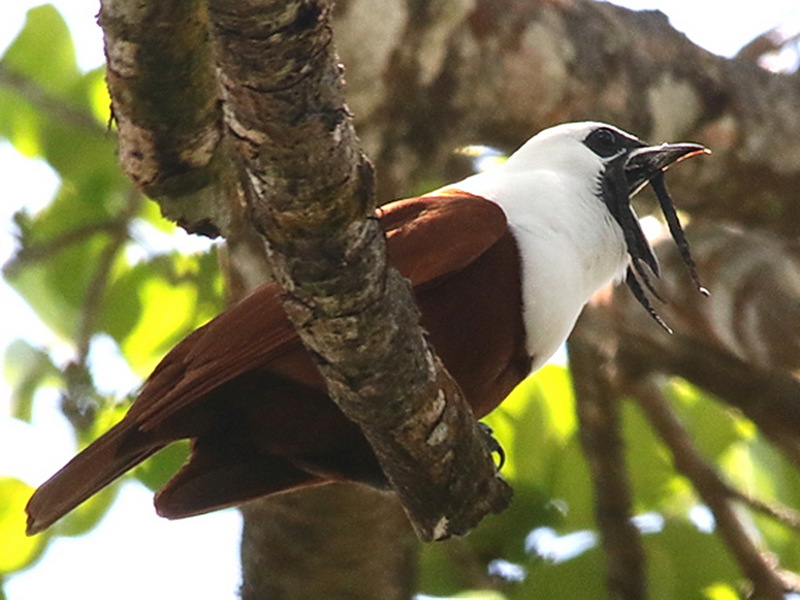 One of the main attractions of Tranquilo Bay Eco Adventure Lodge is a visit to Swan Island, where we will have the chance to have incredibly-close-up views of a colony of Red-billed Tropicbirds and also of Brown Boobies. 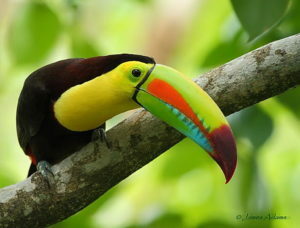 With very comfortable, well-equipped cabins, a 30-meter-high scaffolding tower, nice gardens, incredible views of Caribbean shores surrounded by mangroves, and nocturnal wildlife like Crab-eating Raccoon, White-faced Capuchin, Central American Woolly Opossum, and Brown-throated Sloth, Tranquilo Bay Eco Adventure Lodge is a hidden jewel that guarantees a wonderful and quiet stay. 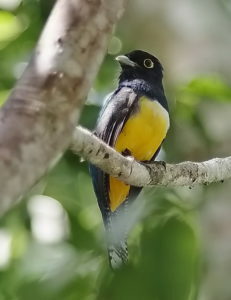 The foothills above the Caribbean coast are good for Boat-billed Heron, Red-breasted Blackbird, Striped Cuckoo, Black Guan, Blue-throated Toucanet, Black-and-yellow Tanager, Tawny-capped Euphonia, Emerald Tanager, Silver-throated Tanager, Rufous-browed Tyrannulet, Speckled Tanager, Black-faced Grosbeak, Prong-billed Barbet, American Dipper, Slate-colored Grosbeak, and Bat Falcon, and even the elusive Ornate Hawk-Eagle has been recorded in this area. 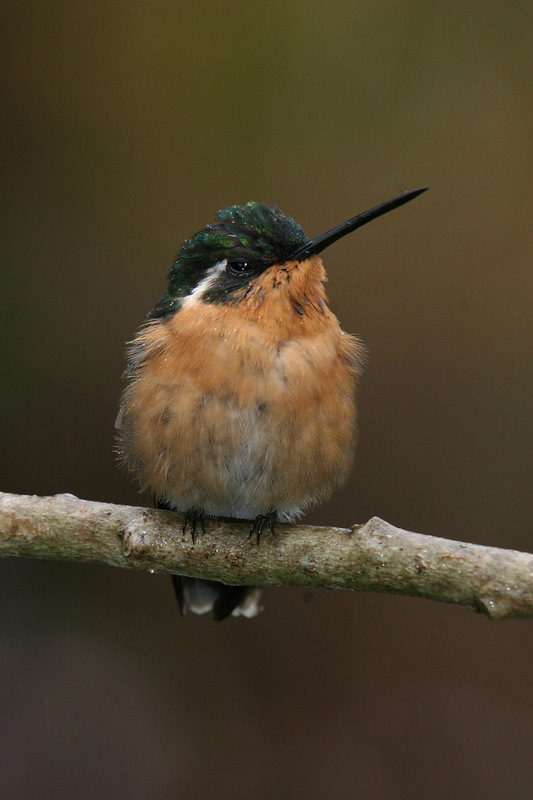 After four days in the Bocas del Toro Province we will be transferred by land to Los Quetzales Lodge in the heart of the cloudforest mountains in the province of David. 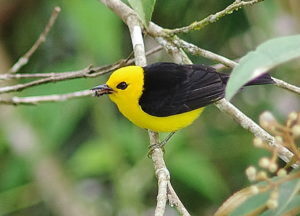 We will spend four nights here, exploring the surroundings and the edge of Volcán Barú National Park, looking for species such as Black-cheeked Warbler, Volcano Hummingbird, Yellow-winged Vireo, Collared Whitestart, Flame-throated Warbler, Black-and-yellow Phainoptila, Long-tailed Silky-flycatcher, Golden-browed Chlorophonia, the endemic Yellow-green Finch, Silvery-fronted Tapaculo, Yellow-thighed Finch, Buffy Tuftedcheek, the elusive Wrenthrush, Large-footed Finch, and the most-wanted Resplendent Quetzal. 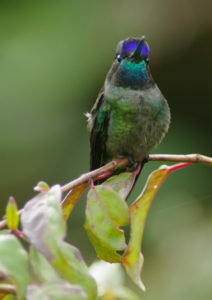 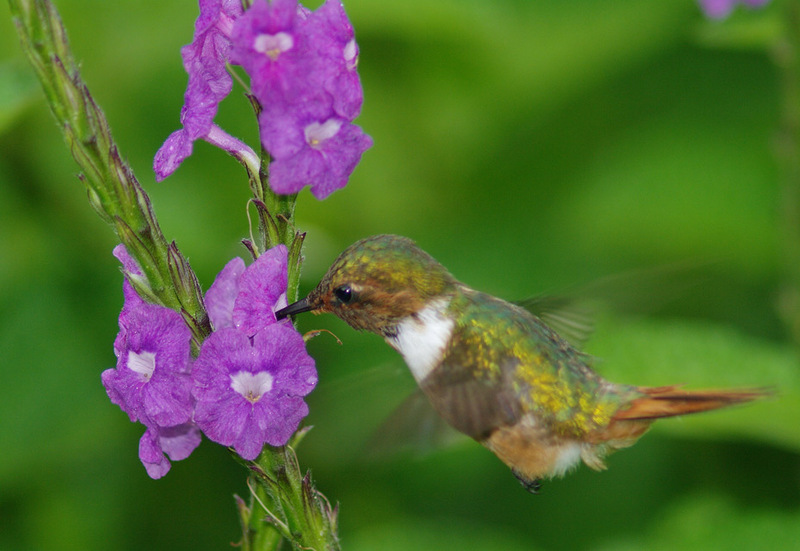 The hummingbird feeders provide species such as White-throated Mountaingem, Green Hermit, Magnificent and Stripe-tailed Hummingbirds, Green Violetear, and with luck Fiery-throated Hummingbird. 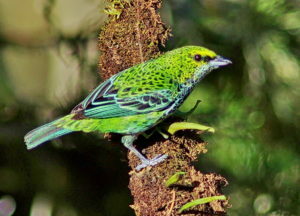 After four nights and days birding Los Quetzales Lodge and Volcán Barú National Park we will be transferred to the David airport for a flight to Panama City, from where you will connect with your international flights. 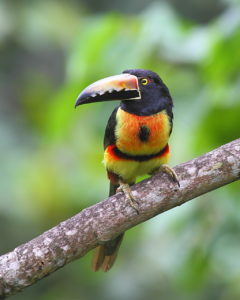 This tour can be combined with our Birding Tour Panama: Central and Eastern Panama and the Darien 2020. 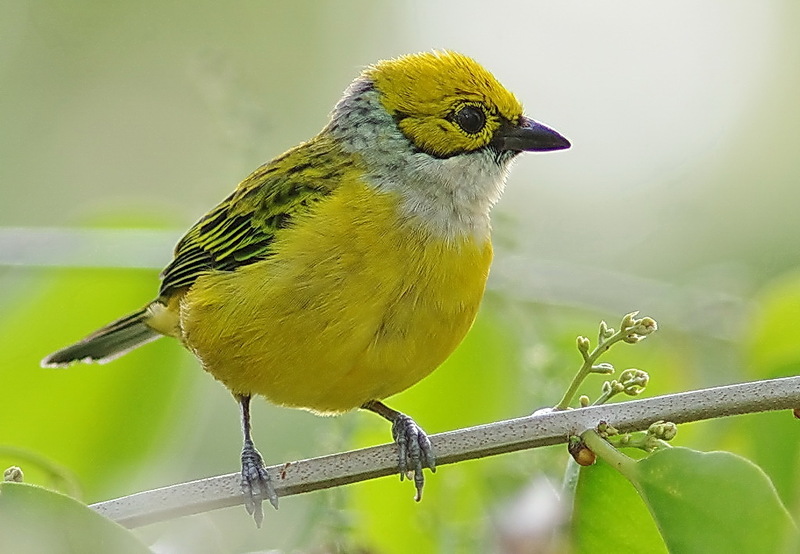 We will meet you at the airport and transfer you immediately to the Metropolitan Natural Park, looking for the endemic Panamanian (Yellow-green) Tyrannulet. 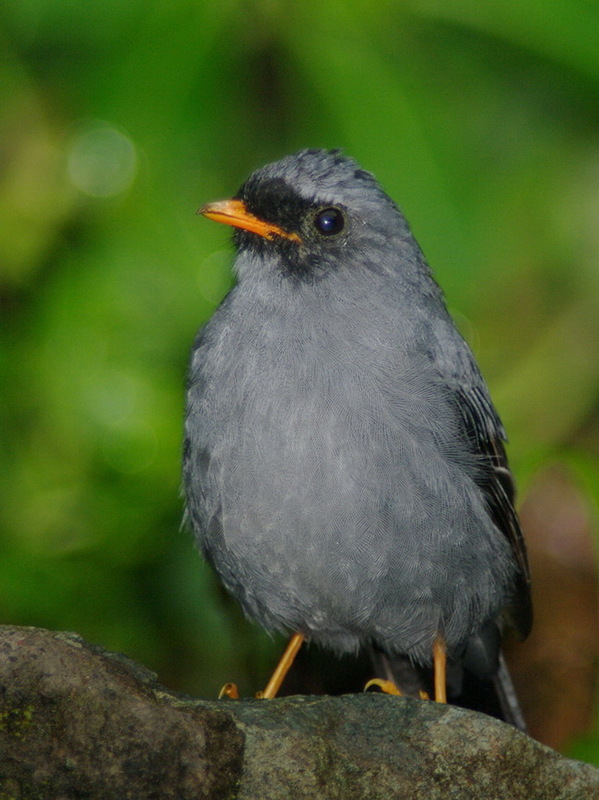 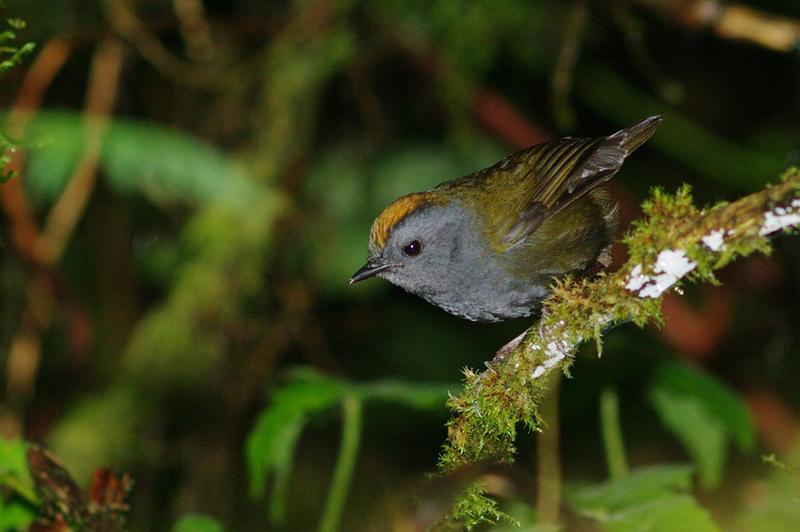 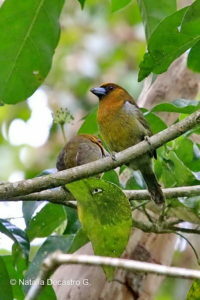 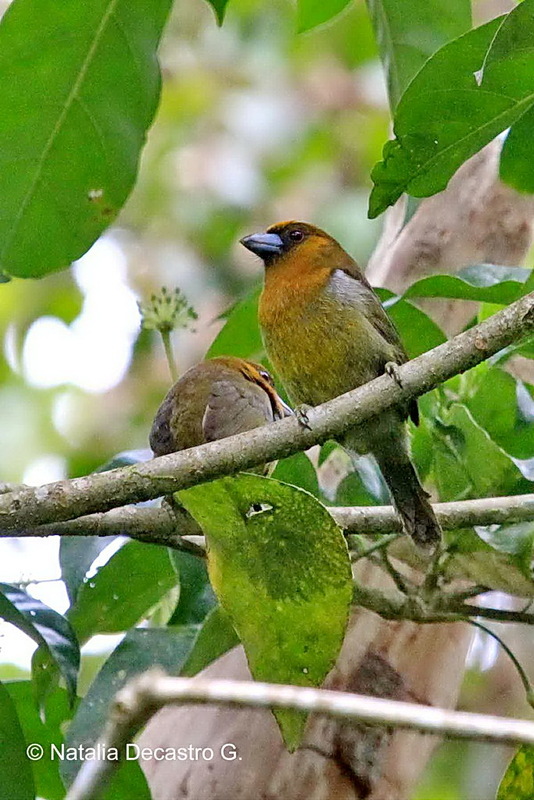 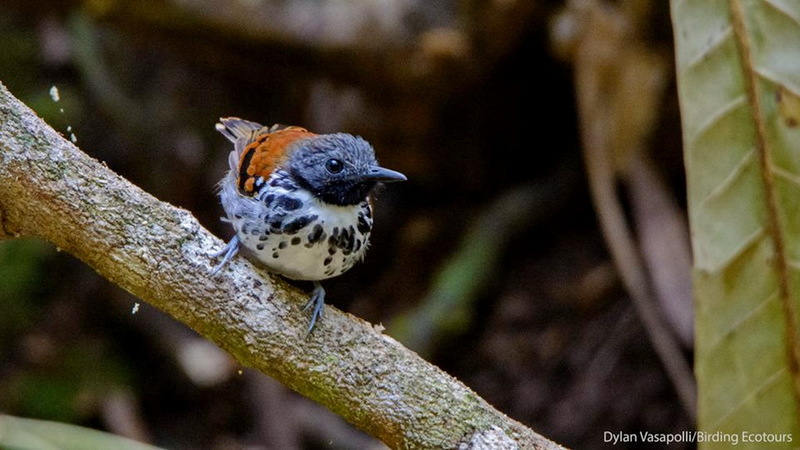 and also for Lance-tailed Manakin and the sought-after Rosy Thrush-Tanager. If time permits we will explore the nicely wooded grounds of our hotel in Panama, which hold several interesting species such as Spotted Antbird, Black-crowned Antshrike, White-flanked Antwren, Dot-winged Antwren, Rufous-breasted Wren, Long-billed Gnatwren, Squirrel Cuckoo, Whooping Motmot, Purple-throated Fruitcrow, Red-billed Pigeon, Red-crowned Woodpecker, and with some luck White-bellied Antbird. 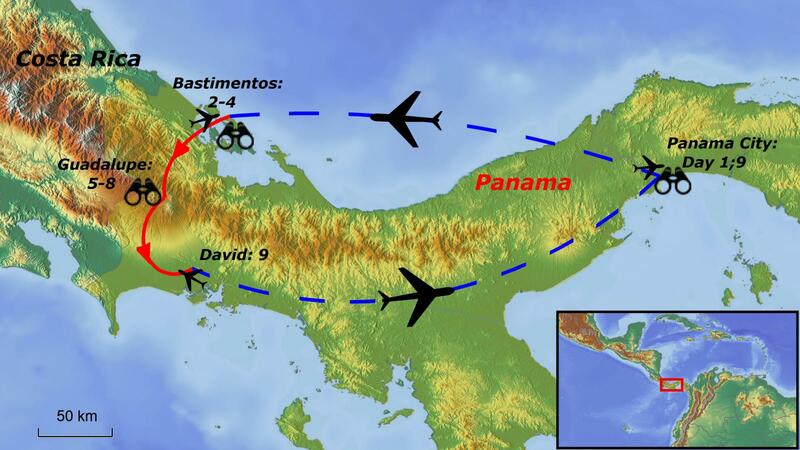 We will transfer to the airport to get an early flight to Isla Colón in the Bocas del Toro Province. Then we will take a boat to the Tranquilo Bay Eco Adventure Lodge. 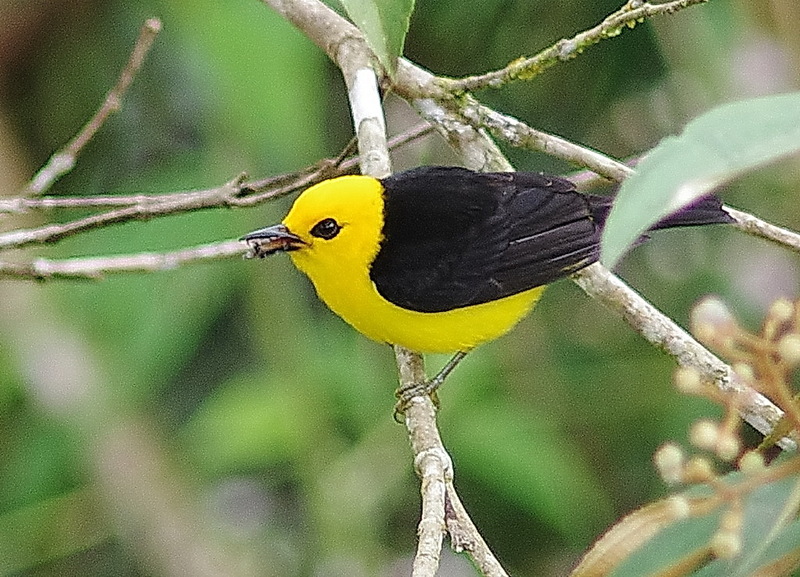 On the way we will look for the handsome Snowy Cotinga, Keel-billed and Yellow-throated Toucans, Great Blue Heron, Bare-throated Tiger Heron, Magnificent Frigatebird, Common Black Hawk, and Yellow-headed Caracara. The gardens of our beautiful lodge offer excellent chances for Band-tailed Barbthroat, Bronzy Hermit, Rufous-tailed Hummingbird, Red-lored Amazon, Montezuma Oropendola, and Red-billed Pigeon. 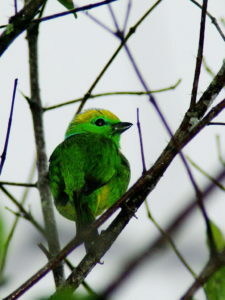 We will have time to look and watch out for Red-capped Manakin. We will have a full day by boat, exploring the channels and mangroves and looking for Nicaraguan Seed Finch, Thick-billed Seed Finch, American Pygmy Kingfisher, Bare-throated Tiger Heron, Black-bellied Whistling Duck, Lesser Scaup, Masked Duck, and with luck Three-wattled Bellbird, among many others. In the afternoon we will visit Swan Island to watch the Red-billed Tropicbird and Brown Booby colonies. 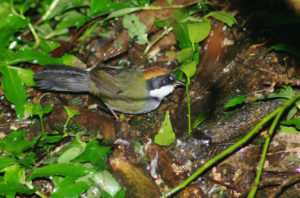 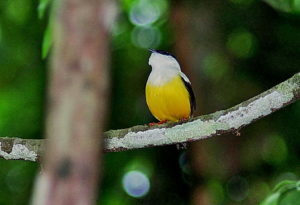 Before we return to the lodge we will look for the almirante subspecies of White-collared Manakin. 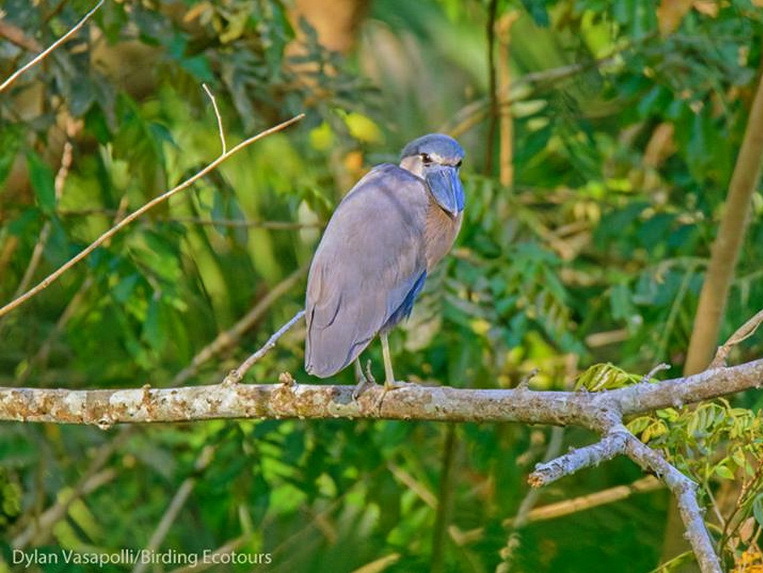 We will start exploring the lowest parts of the Fortuna Road, looking for a Boat-billed Heron colony. 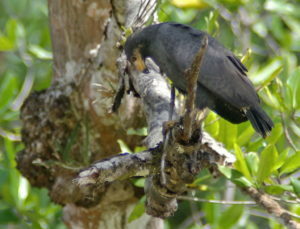 Along the pastures we also hope to locate Red-breasted Blackbird, Striped Cuckoo, King Vulture, Collared Aracari, Masked Tityra, Wattled Jacana, and Limpkin. 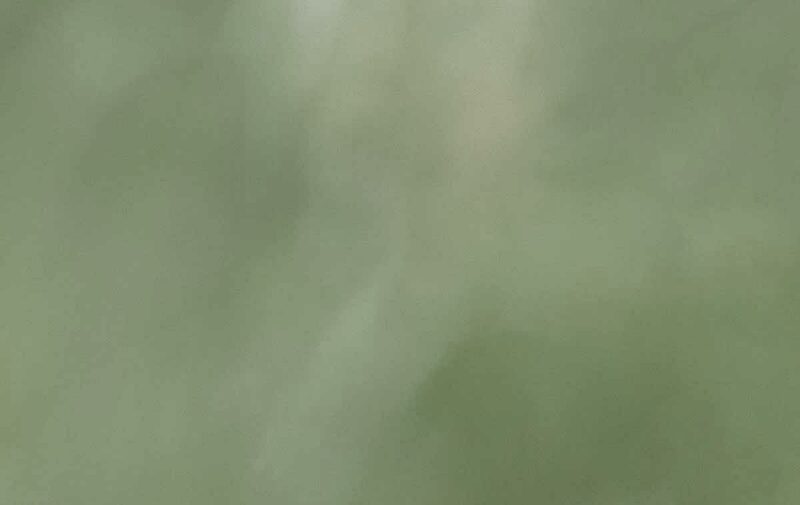 As we get higher on the Fortuna Road we will find nice flocks of tanagers, including Emerald, Silver-throated, Golden-hooded, Speckled, and Black-and-yellow Tanagers. 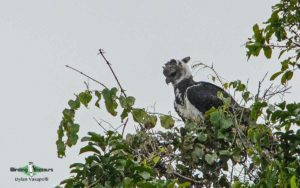 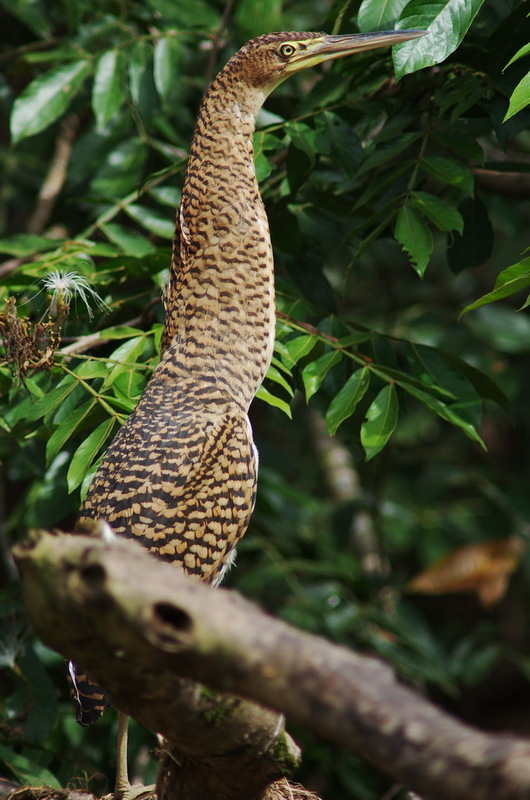 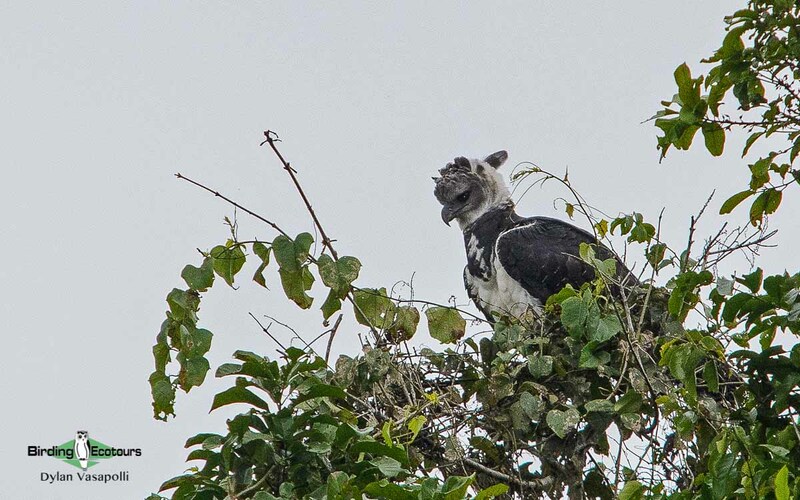 If we are lucky we might also encounter Ornate Hawk-Eagle. 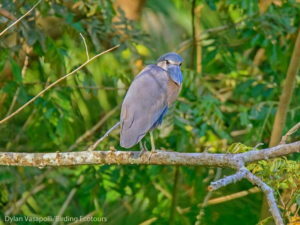 Another morning along the Fortuna Road will allow us to find birds we might have missed the previous day. We will try for American Dipper, Spangle-cheeked Tanager, Prong-billed Barbet, Gartered Trogon, Passerini’s Tanager, Black-striped Sparrow, White-ruffed Manakin, Sulphur-winged Parakeet, Long-tailed Tyrant, Red-faced Spinetail, Bay-headed Tanager, Blackburnian Warbler, Red-legged Honeycreeper, Chestnut-capped Brushfinch, and Black Guan. 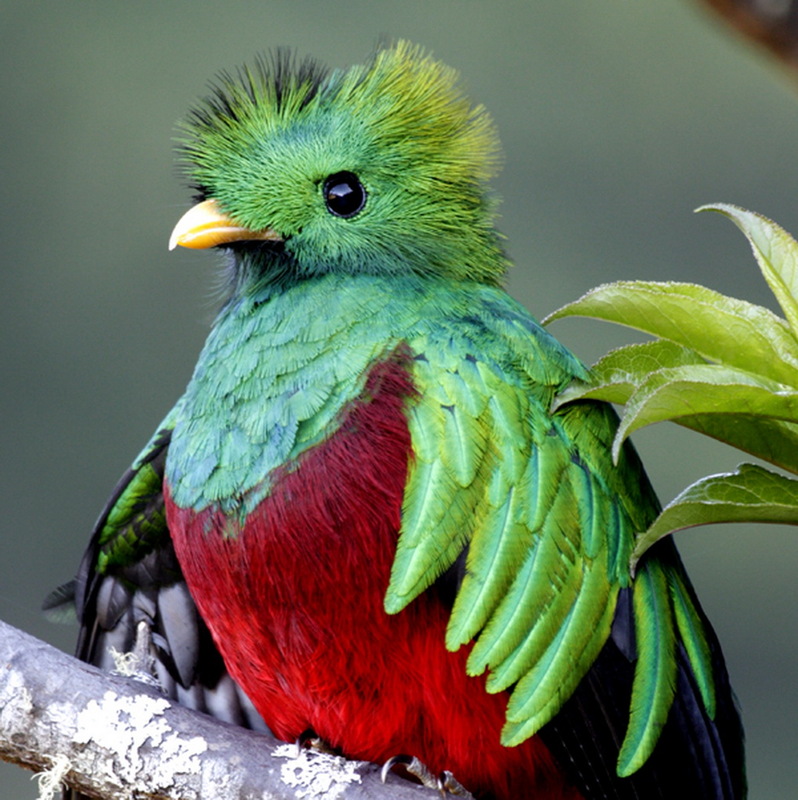 Later we will transfer to Los Quetzales Lodge in the David Province. We will spend three full days birding around the Los Quetzales area and Volcán Barú National Park, looking for the most-wanted Resplendent Quetzal and also for Golden-browed Chlorophonia, Ruddy Treerunner, Golden-bellied Flycatcher, Mountain Thrush, Black-faced Solitaire, Black-and-yellow Phainoptila, Long-tailed Silky flycatcher, Large-footed Finch, Yellow-thighed Finch, Flame-colored Tanager, Slaty Flowerpiercer, Dark Pewee, Ochraceus Wren, and others. 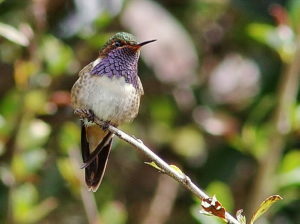 After a final morning birding around Los Quetzales Lodge and Volcán Barú National Park looking for Black-cheeked Warbler, Black-billed and Ruddy-capped Nightingale-Thrushes, Flame-throated Warbler, Silvery-fronted Tapaculo, Scintillant Hummingbird, Volcano Hummingbird, Violet Sabrewing, and Buffy Tuftedcheek, we will transfer to David to fly back to Panama City to connect there with our international flights.